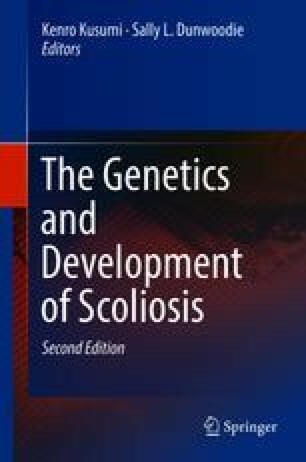 Adolescent idiopathic scoliosis (AIS) is the most common paediatric spinal disorder, affecting 2–5.2% of the population. Individuals with AIS have, for a long time, been known to exhibit differences in weight, height, body mass index (BMI), pubertal progression and levels of circulating hormones, suggesting that AIS may arise due to metabolism-endocrine-gene interactions. Here, we present an overview of biological changes that occur during puberty, in relation to the developing spine, along with the pathways involved, with an emphasis on those linked to AIS through recent human genetic studies.